"I have been in the property management business for over 32 years. Many people in the trades make promises they either can’t or don’t keep. I have never, I repeat never, regretted my long working relationship with Brian and his incredible support group at All Star Plumbing. They get it right the first time, always deliver as promised, and price their services with the long term in mind. I can’t recommend them highly enough." Cold nights could often bring more trouble than just having to use an extra blanket. In cold enough conditions, water can freeze in your pipes and expand to the point of breaking. In these circumstances, having to replace your pipes can be an expensive and stressful occurrence. Luckily, there are a few easy precautions that can be taken to prevent this kind of household disaster from happening in the first place. 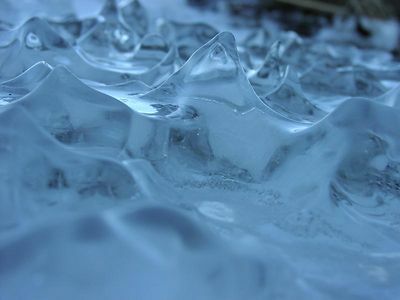 When water freezes, it expands. When this expansion happens inside your piping system, an unusually high amount of pressure is forced against the interior of your pipes. Regardless of the strength and durability of your pipes, frozen water can reach a point where they crack and break. These breakages most often happen with pipes that are subject to limited or no insulation, like sprinkler systems, hose bibs, or any piping that runs on the inside of your home. A strong first step to take is to have any existing breaks or cracks in your pipeline caulked to prevent these cracks from spreading and becoming more costly. If you need assistance in caulking your pipes, contact All Star Plumbing & Restoration services and we can come make sure you won’t be faced with a bigger piping problem in the future. It is important that your pipes are sealed prior to a point in the winter season where they may freeze. It is much easier for cracks to spread when the water in your piping freezes, leaving you with enough damages to have to replace your entire piping system. Draining water from your pool’s, sprinklers, or outdoor piping system is another precaution that should be taken. To do this, it is advised that you properly follow the manufacturer’s instructions to assure the system is properly emptied of all water. You can also place heating electric strips along your pipes that are designed to prevent freezing to occur. You can easily purchase these strips at your local hardware store. There are also pipe sleeves and cabled heating systems that work to prevent your pipe from freezing as well. Also, remember to disconnect your water hose from the spigot, as water in your hose can freeze, causing pressure to run up your hose into your pipes, making them more susceptible to freezing. Letting the water run frequently is another method often taken to easily prevent your pipes from freezing. Letting each faucet drip may rack up a couple bucks on the utilities bill can save a lot more in the long-run. Even if it is the slightest movement, constant running water makes it much more difficult for it to freeze and cause damages to your pipes. Because it does cost money, make sure that the faucet(s) you let drip are only attached to pipelines that are at risk of freezing. Keeping your pipes heated is yet another method you can use to prevent them from freezing. Once again, this may cost a little extra but can save you money overall. Keeping the thermostat to a certain temperature in your home can prevent the piping in your crawl space or throughout your household from easily freezing. This applies especially if you have a cabin or home that may be left empty in the winter. Keeping your thermostat around 50 degrees can prevent your pipes from freezing, thereby preventing the costly damages that can follow. Though these advised precautions may help prevent your pipes from freezing, extreme weather conditions can freeze your pipes to a point beyond your control. If you live in the Boise/Meridian area and have frozen pipes or are unsure and just want to be cautious, contact All Star Plumbing & Restoration frozen piping services and our experts will evaluate your damages. Whether you need new piping from breakages, sealing from cracks, or just need your pipes thawed, All Star Plumbing & Restoration is here to assist you with all your plumbing needs.